Two Premium Quality tools in one easy to carry container. Seam ripper with a sharp Japanese made blade. 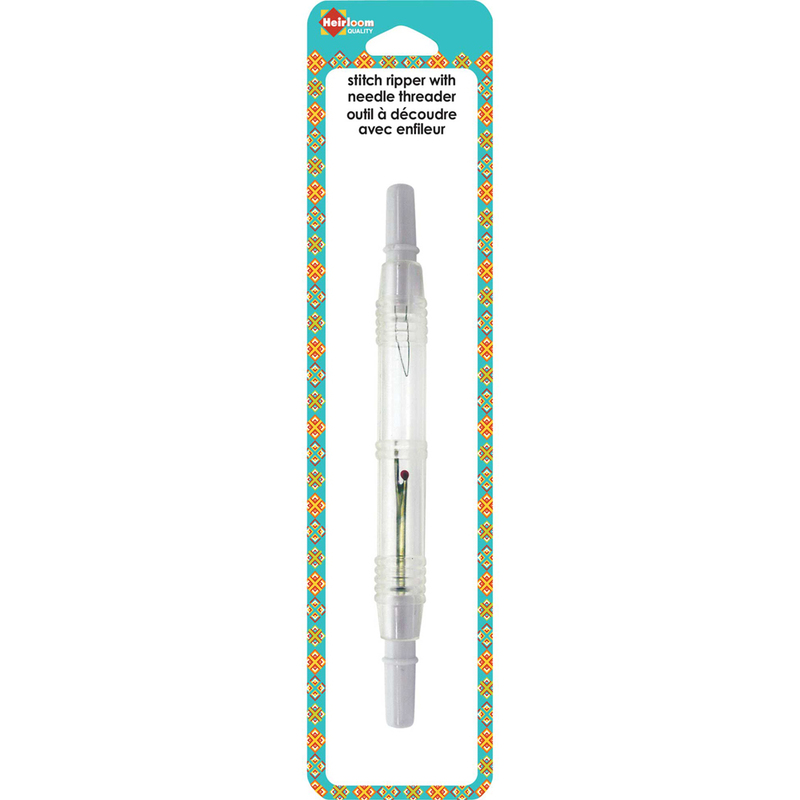 Ultra fine needle threader, essential for beading and other fine needles.